ST. GEORGE – Look who’s in first place now. 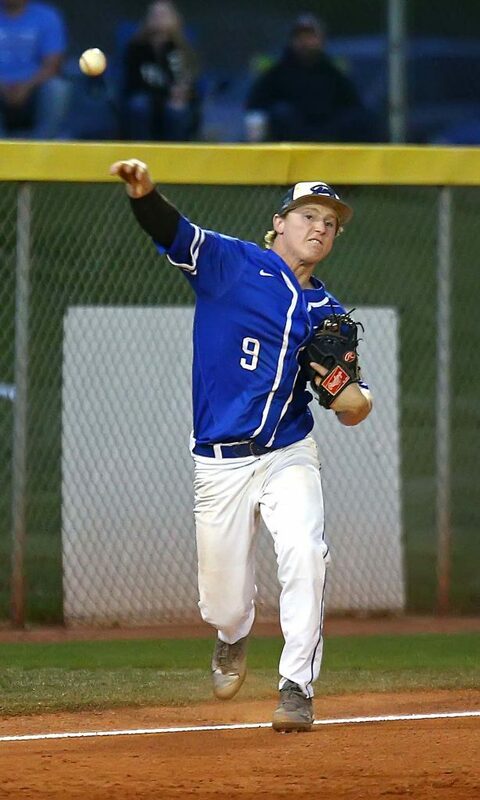 Pine View staggered Desert Hills Tuesday night with a lights out pitching performance. 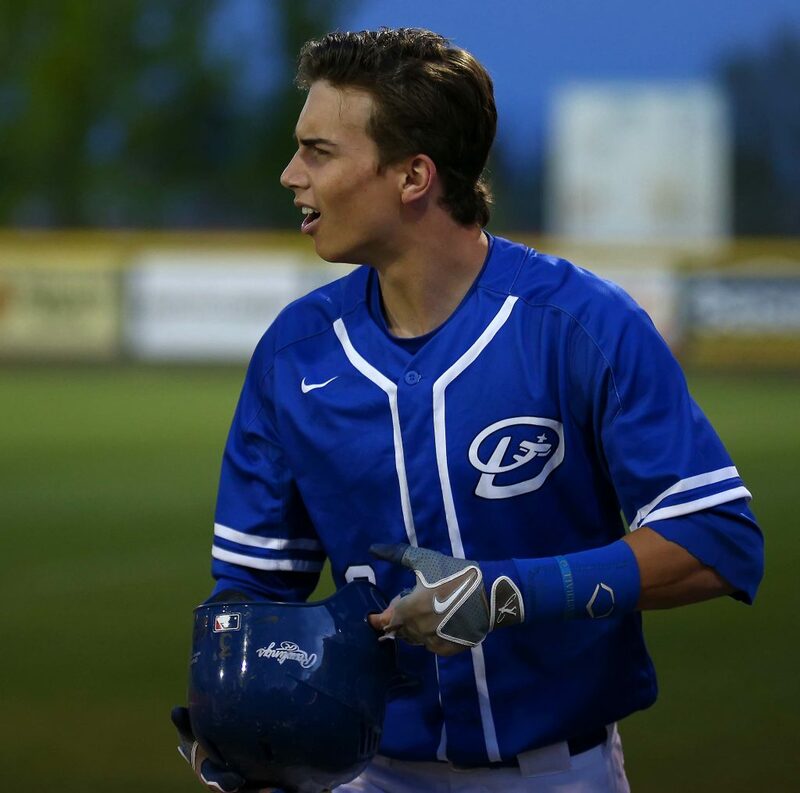 That victory, coupled with Dixie’s road win at Snow Canyon, left the Panthers as the lone unbeaten team in Region 9 with just three games played. The two-time defending state champs are 3-0 with the Thunder and Warriors a game behind and Dixie and Hurricane, which picked up its first win in a shootout with Cedar, two games back. 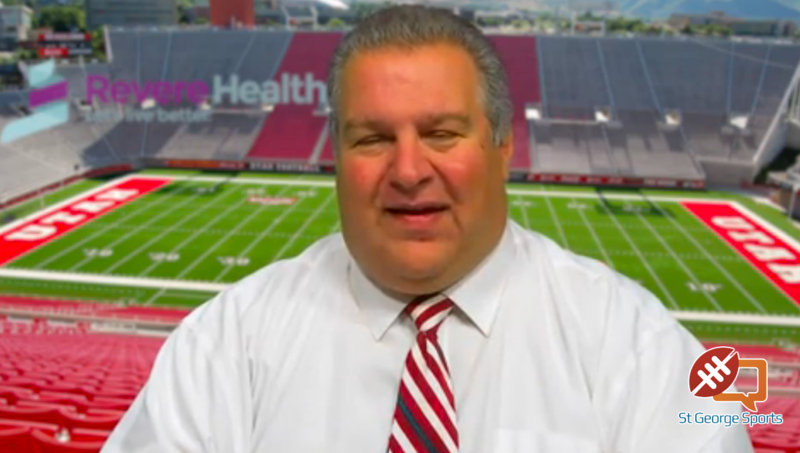 Coaches sometimes will deemphasize the importance of a game, just in case their team loses. Plus, most coaches would rather not put extra pressure on their players. But Dixie coach Danny Ipson made no bones about how momentous the Flyers’ game was against the Warriors Tuesday night. Tyson Fisher pitched a complete game, but looked just OK the first three innings as the game was tied 3-3. But something happened in the top of the fourth that seemed to fire the junior pitcher/slugger up. He struck out with the bases loaded. Fisher pitched the final four innings with fire and purpose. He struck out the side in the bottom of the fourth and the bottom of the sixth. Over the last four innings, he allowed just three hits and struck out nine batters. Snow Canyon didn’t get a base runner past second base the rest of the game. 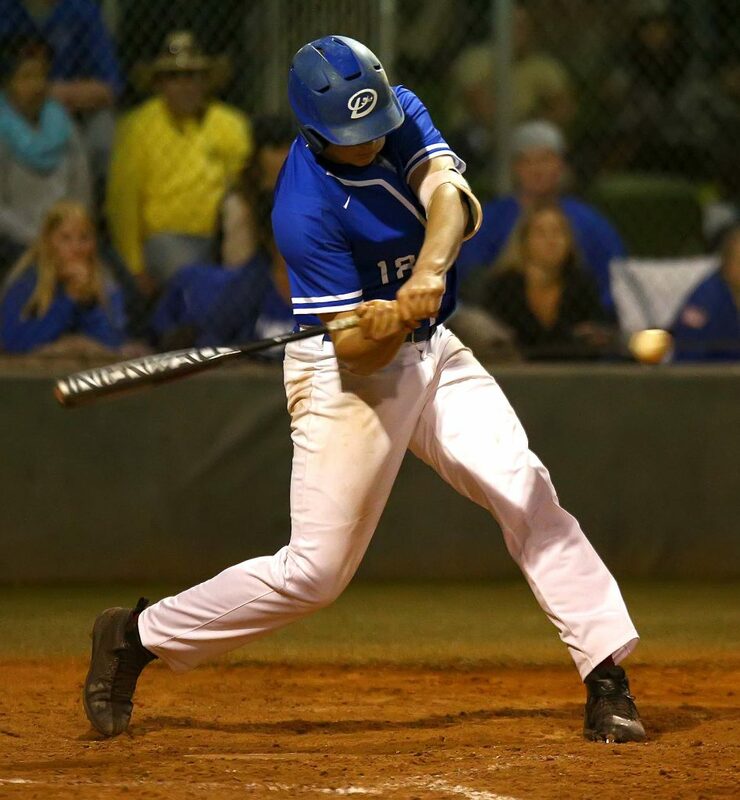 Dixie took the lead in the top of the fifth after the first three batters reached on a single by Payden Harrah, a walk by Tyson Miller and a hit by pitch for Kayler Yates. Cooper Vest then hit a grounder deep in the hole between first and second. 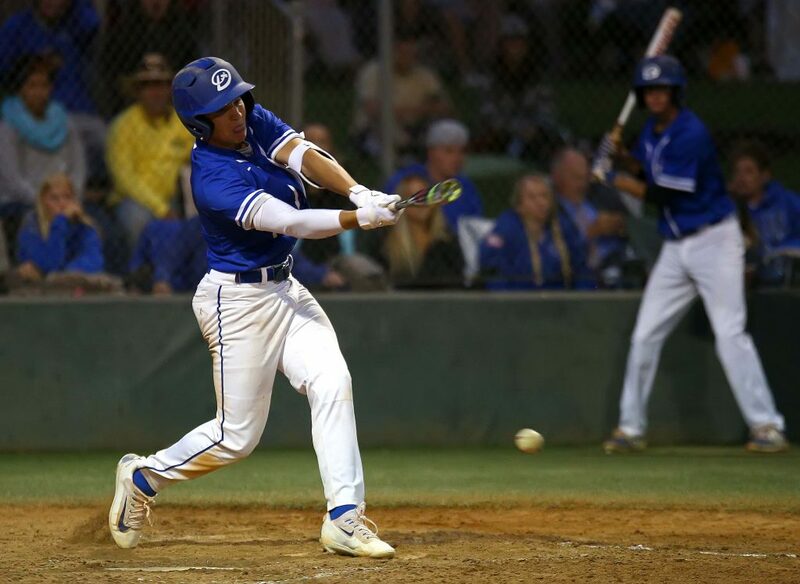 SC second baseman Tanner Howell was able to corral it and get the out at first, but Harrah crossed the plate easily with what turned out to be the winning run. 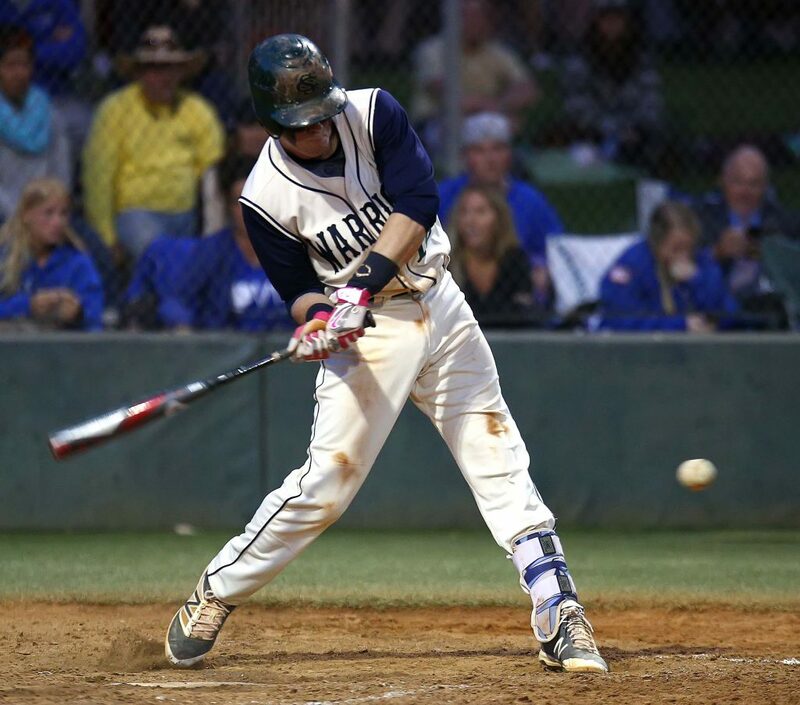 After a walk loaded the bases again, Makai Lee came on in relief for the Warriors and ended the potential big inning by striking out Kaleb Leavitt and Hobbs Nyberg. 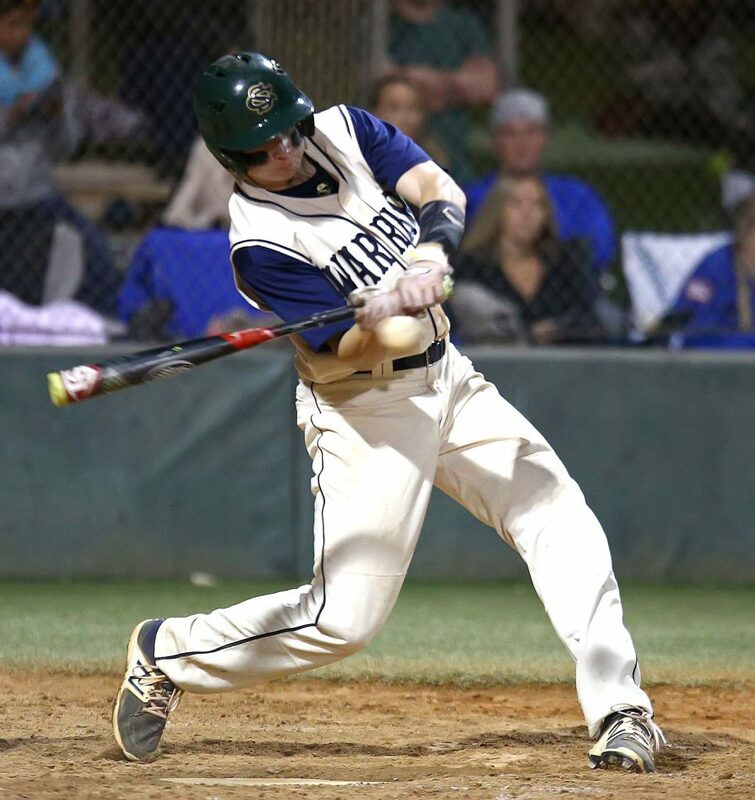 Nyberg, who leads the region in batting, went down on strikes for just the second time all season. 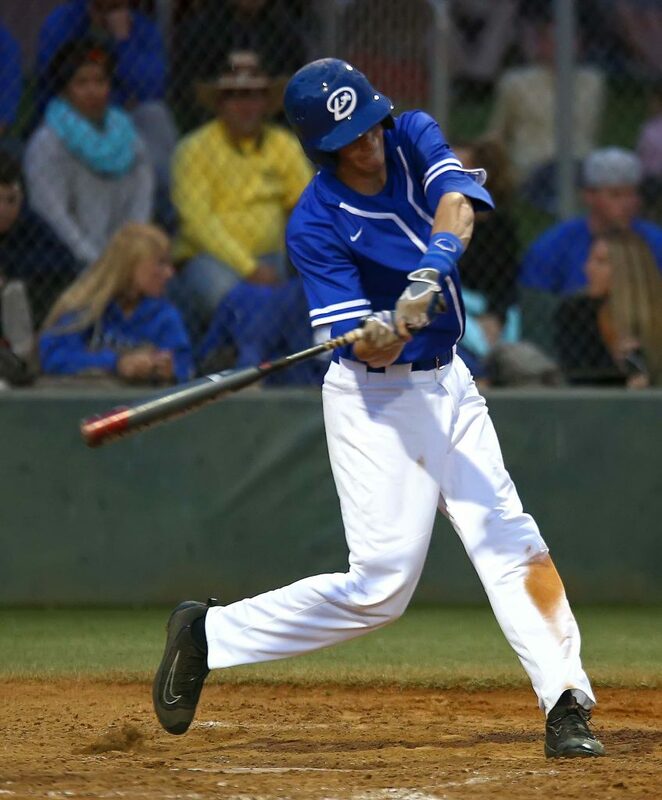 But with Fisher on his game, the one-run lead would prove to be enough to secure the road win for DHS. 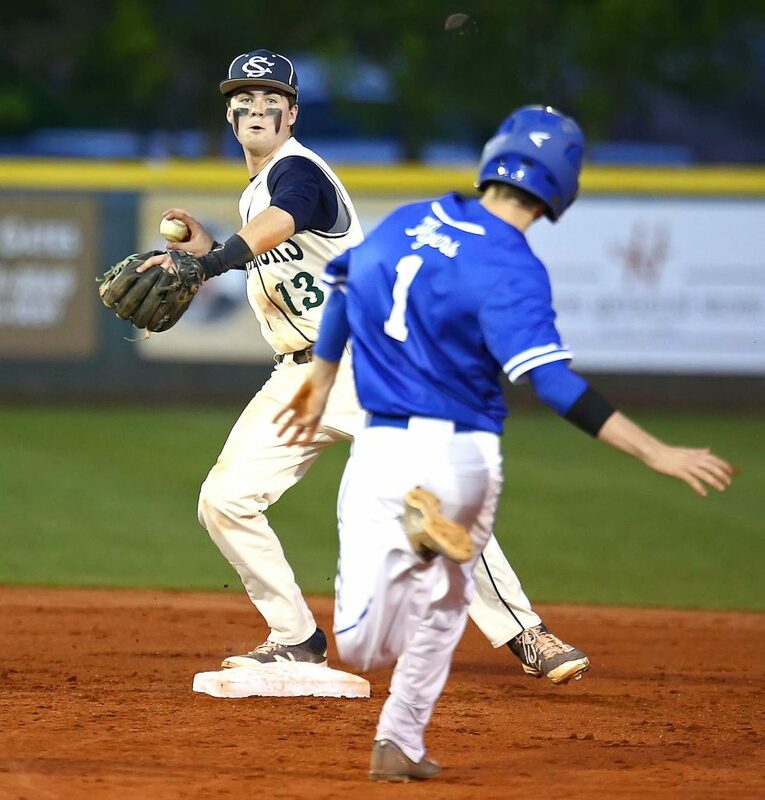 Snow Canyon led early on, with Austin Deming socking a two-run home run in the bottom of the first inning. The soaring fly ball seemed to catch the jet stream as it just kept carrying to straight away left field. Dixie got one back in the top of the second when Leavitt singled to left to bring home Harrah. The next batter, Nyberg, hit a bases-loaded rocket off of SC starter Breck Eichelberger, but shortstop Deming laid out for the line drive and made a diving catch to end the inning, saving at least two runs. 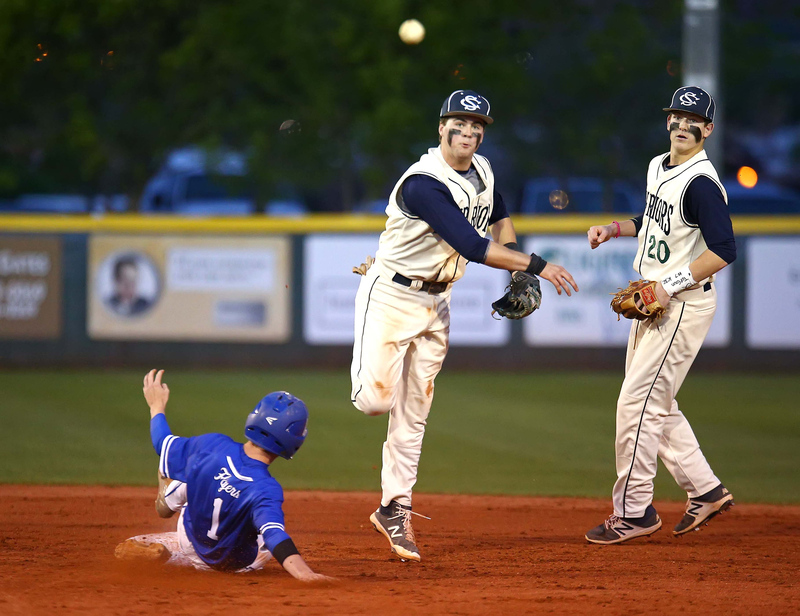 Snow Canyon made it 3-1 in the bottom of the second as Jed Jensen came home on a Dixie error. But the Flyers tied it up in the top of the fourth as Lundin singled home Miller and Leavitt brought home Yates with a hit. Later that inning, Fisher came to the plate with the bases loaded and two outs and Eichelberger struck him out on five pitches. The Dixie pitcher used it as motivation the rest of the game. Fisher ended up with the victory, allowing six hits and two earned runs in seven innings of work (110 pitches). He struck out 13 and walked just one Warrior, a huge improvement from his last outing in which he struck out six and also walked six. Harrah and Leavitt had two hits each for the Flyers, who improve to 1-2 in region and 12-3 overall. 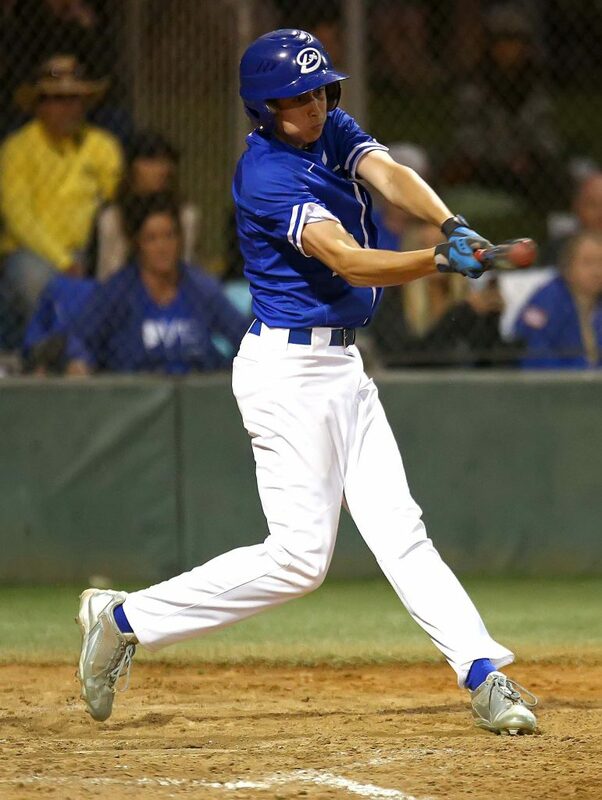 Fisher’s double in the sixth was the only extra-base hit of the game for Dixie. 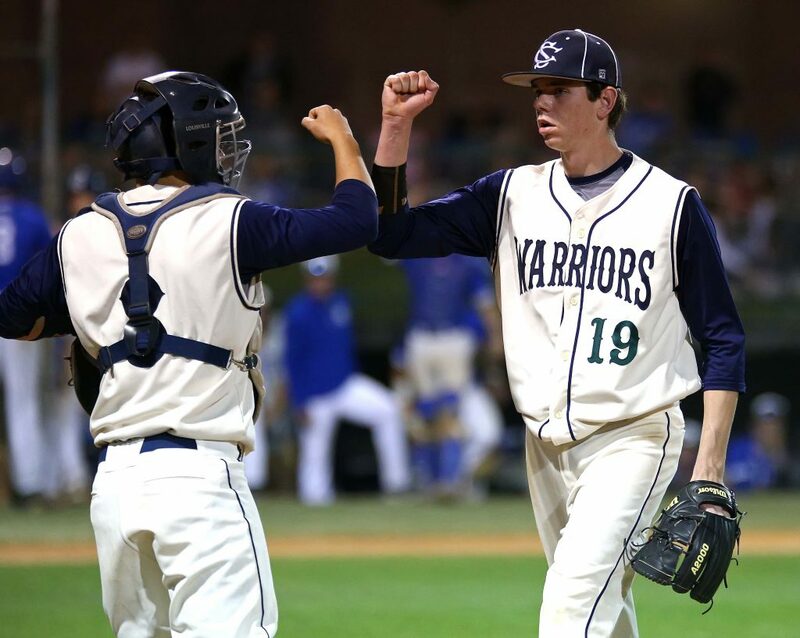 Snow Canyon got excellent relief work from Lee, who went 2 2/3 innings and struck out five, while allowing three hits and walking none. Deming had two hits and several web gems in the game, and had that first inning homer. But the Warriors, who fall to 2-1 and 10-6, had just six total hits. The two teams meet again, this time at Flyer Field, on Thursday night at 7 p.m. 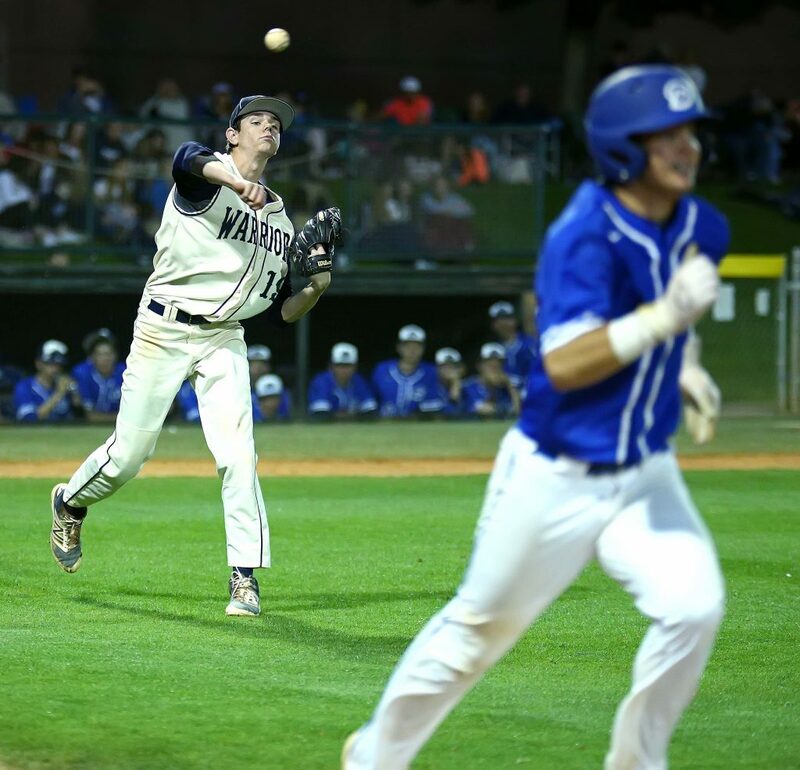 The Panthers have won state twice in a row with pitchers that didn’t issue free passes, a defense that usually played error free and a bunch of hitters who put the ball in play, focusing on percentage over power. And though a majority of the names have changed, the recipe lives on at Pine View. 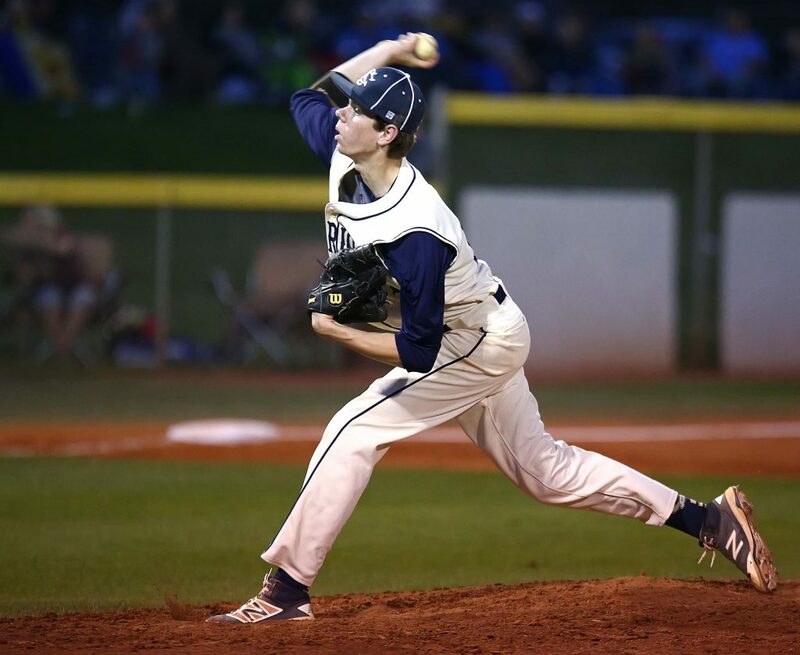 Jagun Leavitt hurled a dandy three-hit, one-walk shutout, the Panthers rapped out seven hits and drew 10 walks and the Pine View defense made every play as PV dominated the Thunder. It was a tense one-run affair until the bottom of the fifth at Panther Field. Kory Taigan’s RBi single, which brought home Tanner Staheli in the bottom of the second inning, was the only offense through the first 4 1/2 innings. The Thunder got two of their three hits on the night in the third inning with just one out as Quinn Kiser and Trey Allred both singled. But Leavitt struck out Trey Winget and got Seth Betts to fly out to center to end the threat. 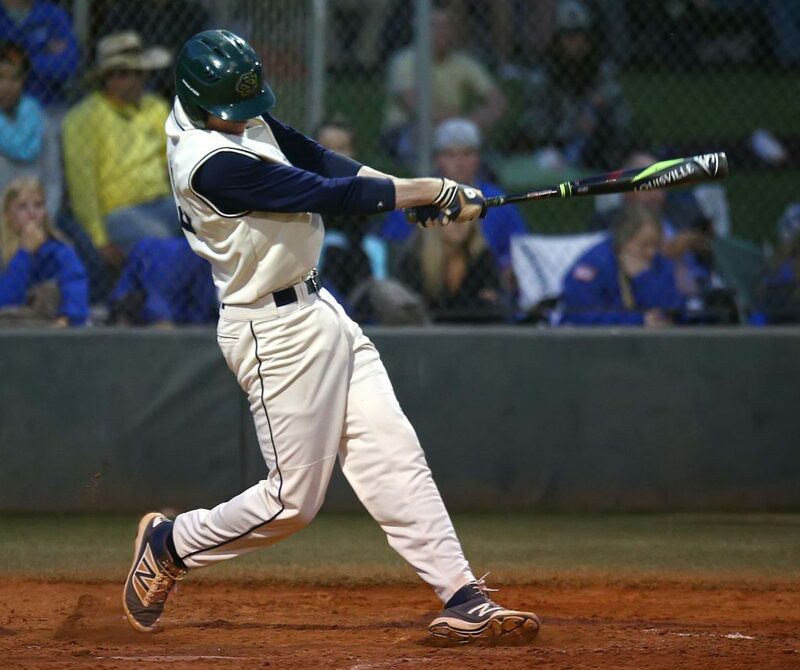 The tight contest turned into a blowout in the fifth as the Panthers used four walks, three hits, a hit batsman and a DH error to score six runs. The rally took 27 minutes and served notice that Pine View is not ready to give up its title as champion just yet. 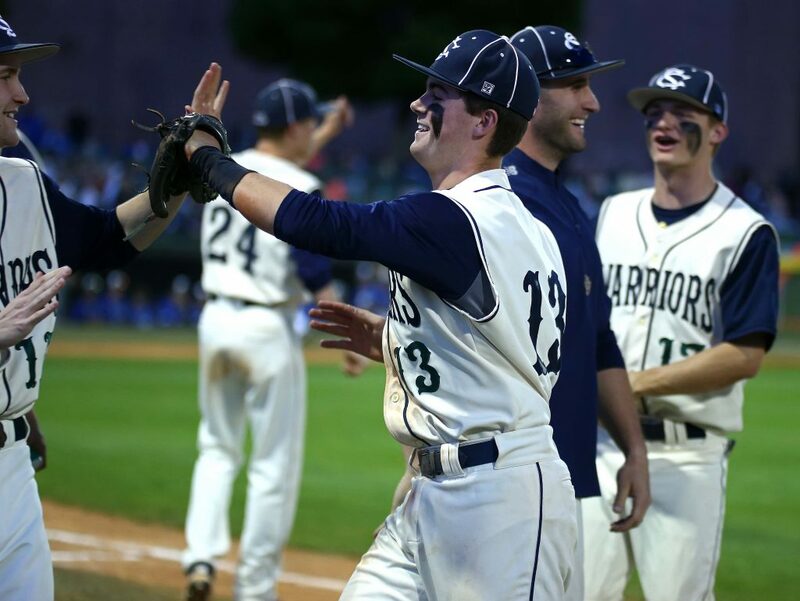 It started with back-to-back walks by Leavitt and Makai Maclellan, then Dawson Staheli singled sharply to right field to bring home Leavitt and make it 2-0. Two batters later, Tanner Staheli singled home Maclellan to make it 3-0. Dawson Staheli came home on a wild pitch, then Jarod Stirling’s single in the hole on the left side brought home another run to make it 5-0. Ryke Erickson took one for the team to force home the sixth run and the seventh came home on a Thunder error. Pine View added one more in the sixth and Leavitt mowed Desert Hills down the rest of the way to record his third victory of the season. No Pine View player had more than one hit, though Tanner Staheli scored three times and Cody Riddle drew four walks in the game. Riddle now has six walks in the last two games and 11 walks in 32 plate appearances this season. Along with his 93-pitch masterpiece on the mound, Leavitt also contributed a hit, a run, a walk and a stolen base. Pine View is 9-5 overall and 3-0 in region. 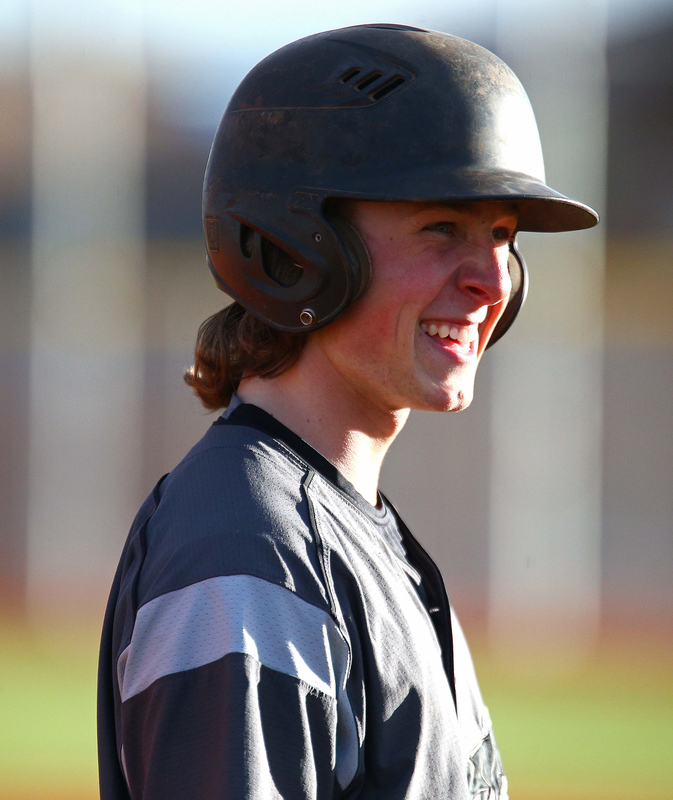 Desert Hills, 12-3 and 2-1, had just five base runners in the game, with Kiser reaching twice on a single and a walk. 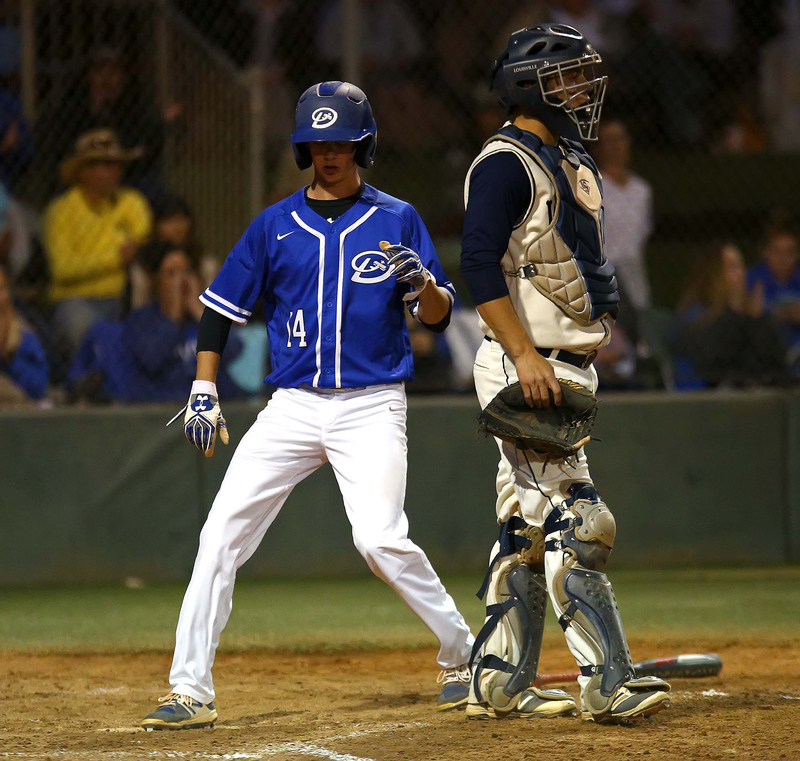 The Thunder went down in order in the first, second, sixth and seventh innings. The two teams will rematch Thursday at 7 p.m. at Thunder Field. The starting pitchers will likely be Makai Maclellan for PV and Drew Thorpe for DH. The game will be broadcast on ESPN SportsRadio 97.7 FM. How do you blow a six-run lead in the bottom of the seventh, then turn around and score four unanswered in the top of the eighth to win the game? That’s what Tigers coach Jon Homer would like to know. Hurricane jumped on the error-prone Redmen right from the start. Alec Flemetakis led off the game with a triple, sparking a five-run rally and an early 5-0 lead for HHS. Tobie Swenson, Michael Lacy and Kolby Heaton all had RBI hits in the inning and Logan Campbell wrapped up the rally with a sacrifice fly. Cedar pulled to within 5-3 after a two-run double by Drake Lewis and an RBI double by Ben Hulet in the bottom of the third. But another huge rally by the Tigers in the top of the fifth seemed to put the game away. 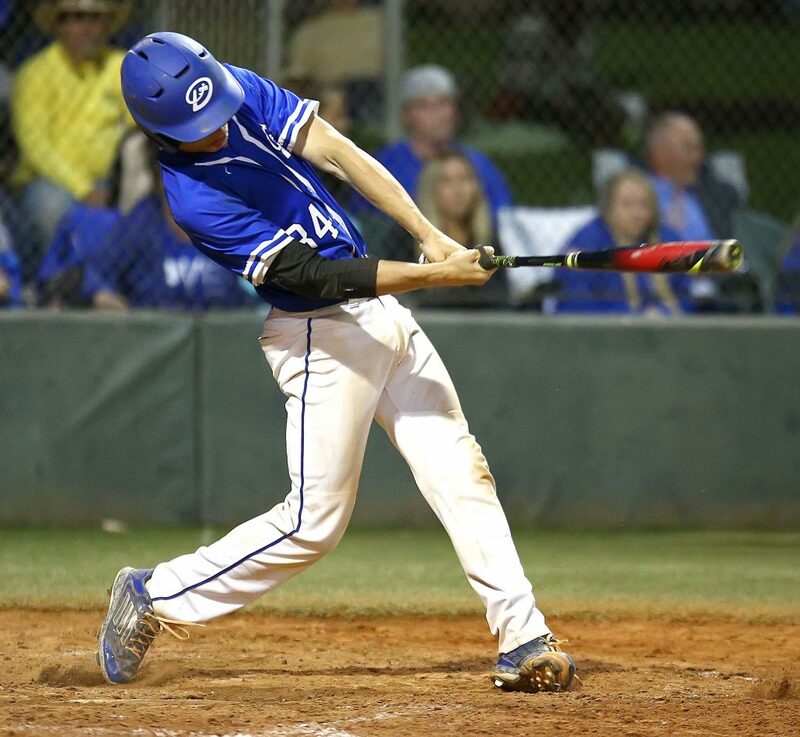 Campbell, Rylee Kent, Flemetakis and Noah Humphrey all had RBIs as part of a six-spot for Hurricane that made the game 11-3. But then, with the score 11-5, Lacy walked the bases loaded in the bottom of the seventh. Homer then turned to Flemetakis, but the next two Cedar hitters, Brandon Johnson and Bridger Bunnell, singled to bring home three runs and all of the sudden it was 11-8. Flemetakis got a pair of strikeouts for the first two outs of the seventh, but issued a walk to Travis Tait to load the bases once again. The next batter, Lewis, watched a wild pitch go by that scored Johnson, making it 11-9. Lewis then hit a 2-2 pitch to shallow left-center. Flemetakis got the third out on a ground out, but the six-run edge had vanished. But the Tigers were almost out in the top of the eighth, with the first two batters getting retired quickly and the 7-8-9 hitters due up. Those guys came through, however, with Campbell, Kent and Drake Hermansen all ripping singles to left field. The Hermansen hit scored Campbell to make it 12-11. Two batters later, Humphrey lined a hit to left to score Kent and Hermansen and make it 14-11. Nick Horsley picked up the final RBI on a double to left to make it 15-11. 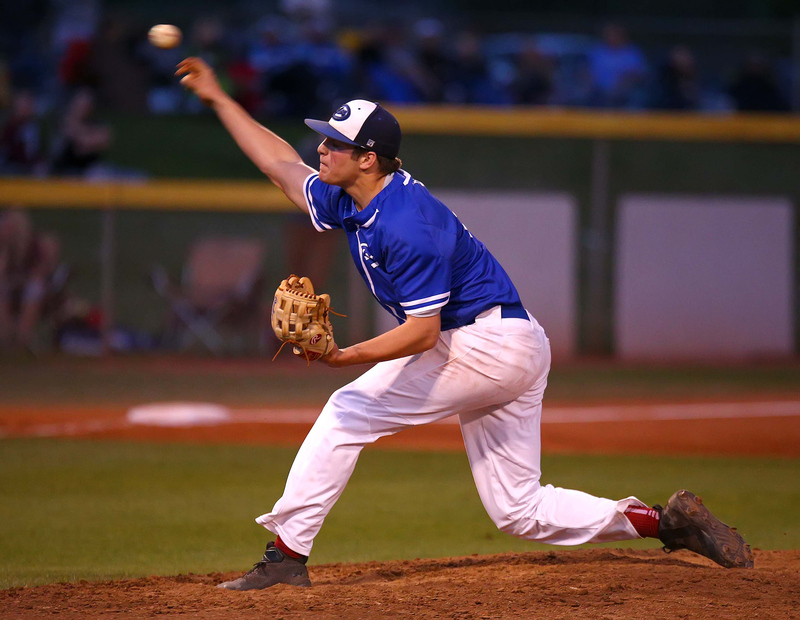 Cedar was held hitless in the bottom of the eighth to end the game. Flemetakis got the win on the mound and also tripled and scored three times. Humphrey had two hits and four RBIs and the Tigers got two hits each from Lacy, Heaton and Kent. 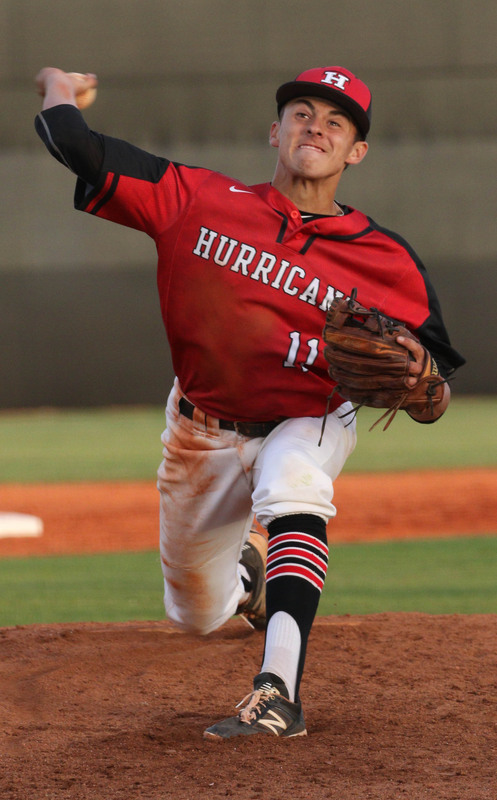 Hurricane had 13 hits and 13 RBIs. Cedar had seven hits, but no player had more than one. The Redmen played shaky defense, committing nine errors that led to eight unearned runs. Lewis took the loss on the mound. Hurricane, 7-8 overall and 1-2 in region, will host Cedar (0-3 and 5-7) Thursday at 7 p.m. at Tiger Field.